Have you ever been on holiday, tasted some fantastic food, and then attempted to re-create it at home? I have, with very little success (just like most of my culinary creations). Thankfully, there’s experts for this sort of thing, with the team at Taisteal bringing the best foods and flavours from across the world to the plates of Scottish diners. 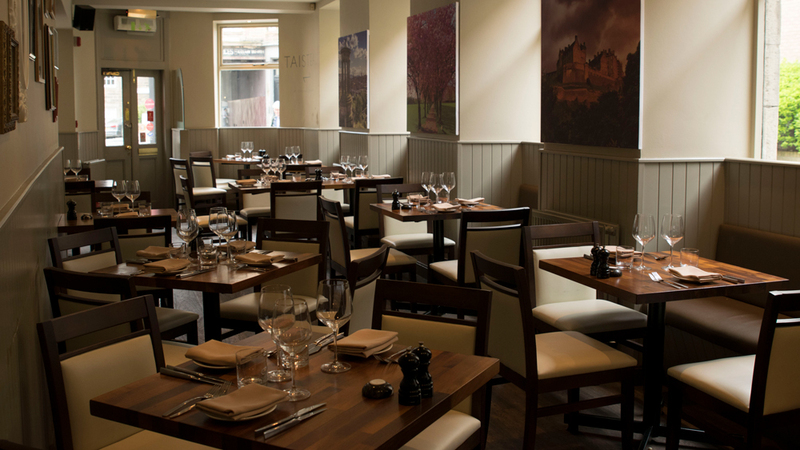 Located in Edinburgh’s Stockbridge neighbourhood, Taisteal is the latest venture by chef Gordon Craig. 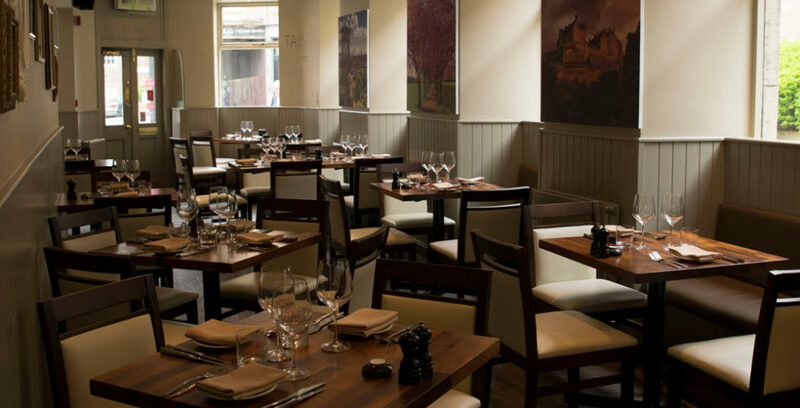 From the Gaelic for journey or travel, Taisteal is inspired by Gordon’s travels and recipes from abroad, along with his training in some of the UK’s finest Michelin-starred restaurants. So armed with an adventurous palate, we journeyed to Taisteal to see what was on offer. With my parents visiting (and my dad owed an overdue Father’s Day gift), we opted for the unique brunch menu, which is available on Sundays between 12pm and 2:30pm. The five-course menu, which includes either a glass of bubbly or a Bloody Mary, comes in at £25 per person. Which is absurdly good value! And perfect for a long, lazy, Sunday afternoon catch-up. Gordon’s travels in Asia have clearly inspired much of his menu, with a beautifully smooth Tom Yum soup and crisp curried cauliflower fritter to start. This was followed by a well-made (i.e. no grizzly bits) Thai tartar accompanied by its own “muesli”, to keep the brunch theme going. The fish course saw cured and charred mackerel paired with a kimchi and kombo dashi and pork scratchings. Although the mackerel and pork could make for an overly-salty dish, the flavours weren’t overpowering. The main of pork belly confit was slightly too tough for my palate. However, the accompaniments of red onions, parmentier potatoes and goats cheese sauce were all perfectly prepared. Our meal finished up with a passionfruit and chocolate pave, served with a coconut ice cream. The dish delivered us beautifully from the morning to the afternoon, although I felt the ice cream was more of a sorbet in disguise. The service was friendly, without being intrusive, and there was a relaxed Sunday afternoon feeling when we were in. Another nice touch was the toilet decorations, where Gordon has displayed some of the pictures from his travels. Just in case you thought he was fibbing about all the places he’s been to! Although I’m sure Gordon is getting itchy feet and will want to explore more of the foods and cultures that the world has to offer, hopefully Taisteal will remain a firm fixture. Find out more about Taisteal on its website.